Winner at the recently concluded 2017 India Junior and Cadet Open, Manav Vikash Thakkar is once again search of honours; he is the host nation’s representative for the forthcoming Buenos Aires 2018 Asia Youth Olympic Games Qualification tournament. Staged in the same premises that hosted the ITTF World Junior Circuit tournament, play commenced in Greater Noida on Friday 3rd November and will conclude on Sunday 5th November. However, if the 17 year old is to replicate the feat, he faces a monumental task. He is the fifth listed player in the order of merit; Japan’s prodigious Tomokazu Harimoto, the reigning World Junior champion and sensational winner on the Seamaster 2017 ITTF World Tour in the Czech Republic, heads the list. He is followed by Chinese Taipei’s Lin Yun-Ju, China’s Wang Chuqin and Korea’s Cho Daeseong. Iran’s Amin Ahmadian completes the top six names. 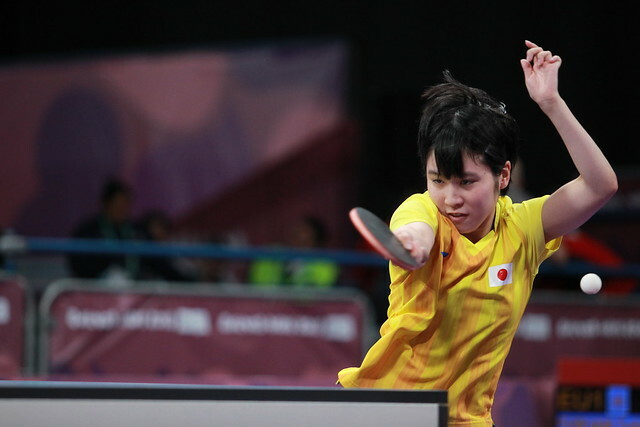 A most notable name at the top of the Men’s Singles list, it is the same in the Women’s Singles event; Miu Hirano, also from Japan is at the top of the order, she is followed in the order of merit by China’s Sun Yingsha, Thailand’s Jinnipa Sawettabut and Chinese Taipei’s Su Pei-Ling. In both the Men’s Singles and Women’s Singles events, play is organised in two stages; in the former there are five groups in the initial phase, in the latter four groups. Players finishing in the first three positions in each group advance to the second phase, where four further groups are organised. World ranking is taken into account when the draw is conducted with players not being drawn against adversaries they opposed in the initial phase. Success, finish in first place in each of the four groups and a place in the Buenos 2018 Youth Olympic Games is reserved. Notably in Greater Noida a National Olympic Committee is eligible to be represented by a maximum of one player in each gender.